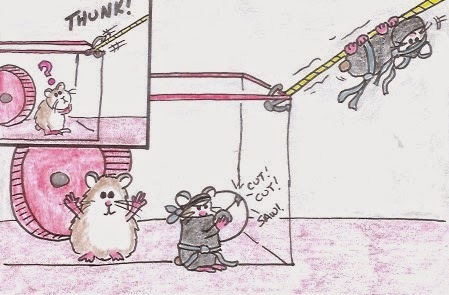 While looking at this cartoon I want you to remember the Hamsterdance Song and use that general sound for the Mission Impossible theme. That will be in your head for weeks. You are welcome.